Go2Pass driving school – Driving lessons Moston and surrounding areas. We have a great team of male and female driving instructors in the Moston area ready to help you achieve success in your practical and theory driving tests. With Failsworth as your nearest driving test centre, we will cover all the best local routes to test your newly learnt driving knowledge. Driving lessons Moston needn’t be something to worry about, in fact most of our students discover that they are something that can be enjoyable and looked forward to! 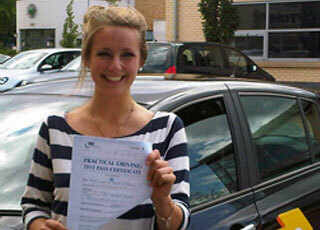 Join the 80% of our driving lesson students who have passed their practical driving test first time round. 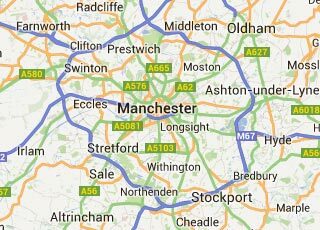 Our driving instructors in Moston operate in a relaxed, calm manner at all time to put you at ease and let the information sink in as best as is possible. Taking in such a lot of new facts and instructions can be difficult, so we will go as slowly and clearly as is needed. Some driving lessons will take a quicker speed if you are happy or find it relatively easy to pick up a new skill. We often find that some driving students in Moston have had help from relatives in driving lessons Moston around their local roads. This will set you up for a great start as you will already have an awareness of the basics of driving. This said, it can sometimes prove difficult to separate family relationships from what can easily become a stressful task if not tutored properly. That’s where we come in, as we have a professional, well-communicated lesson structure that maximises your skills and harnesses knowledge you may have collected over the years about driving lessons Moston. As we know it can be a priority to choose a driving instructor in Moston you feel comfortable with, we are able to offer a highly capable team of both male and female driving instructors in Moston. Living local to or actually in the area, they are well aware of the tried and tested routes examiners will take, so each driving lesson takes in a valuable location. You might have had driving lessons in Moston previously with a different driving school in Moston who you didn’t feel a good connection with or who didn’t understand your way of learning. We try and tailor our lessons to suit your personality as everyone has a different way of learning best. Take a look at our pricing rage to get an idea of the value for money in our Moston driving lessons. You won’t be disappointed, as each lessons has been carefully planned to provide a great deal of information and practical experience in a short space of time. Your time is precious, and no doubt you will be hoping to take just a short course of driving lessons Moston before passing your test and driving independently around Moston and the surrounding area. Driving offers a new sense of freedom, increased self-confidence and the ability to explore locations you might not have been able to before. Many Moston driving lessons students cite the main reason for wanting to take driving lessons as trying to enhance their CV to try and improve their career in what is still a difficult job market.